Slater Reports: The NEW Mac Lisa! 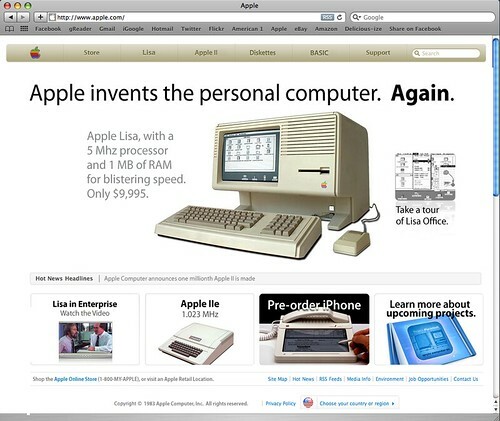 For some reason, this cracks me up: imagine what Apple's homepage might have looked like circa 1983 (shortly before my family spent several grand on our first Mac 128k --- before the web, all that). I love the 'BASIC' tab. . . . Guess this irrevocably confirms my status as a geek.